A Balance Sheet or Statement of financial position is a summary of the financial balances of a sole proprietorship, a business partnership or a company. Assets, liabilities, and ownership equity are listed as of a specific date, such as the end of its financial year. A balance sheet is often described as a “snapshot of a company’s financial condition“. Balance sheet: also referred to the statement of financial position or condition, reports on a company’s assets, liabilities, and Ownership equity at a given point in time. Income statement: also referred to as Profit and Loss statement, reports on a company’s income, expenses, and profits over a period of time. Profit & Loss account provides information on the operation of the enterprise. These include the sale and the various expenses incurred during the processing state. Statement of retained earnings: explains the changes in a company’s retained earnings over the reporting period. Out of the above, the balance sheet is the only statement which applies to a single point in time. It reveals a company’s assets, liabilities, and owners’ equity (net worth). The balance sheet, together with the income statement and cash flow statement, make up the cornerstone of any company’s financial statements. If you are a shareholder of a company, it is important that you understand how the balance sheet is structured, how to analyze it and how to read it. 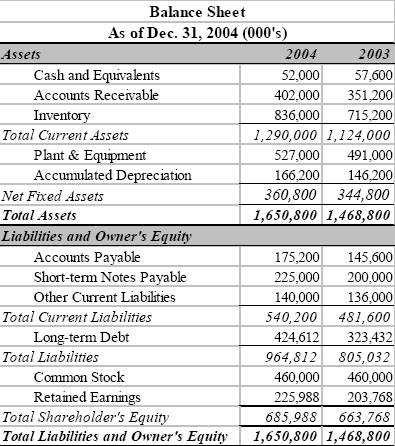 How does the Balance Sheet work? There is one more way to look at the same equation: assets equal liabilities plus owner’s equity. Looking at the equation in this way shows how assets were financed: either by borrowing money (liability) or by using the owner’s money (owner’s equity). Balance sheets are usually presented with assets in one section and liabilities and net worth in the other section with the two sections “balancing”. If you are in the field of accounting or finance, knowing your balance sheet right is a MUST. So if you have any questions or doubts do mention them in the comments box below.